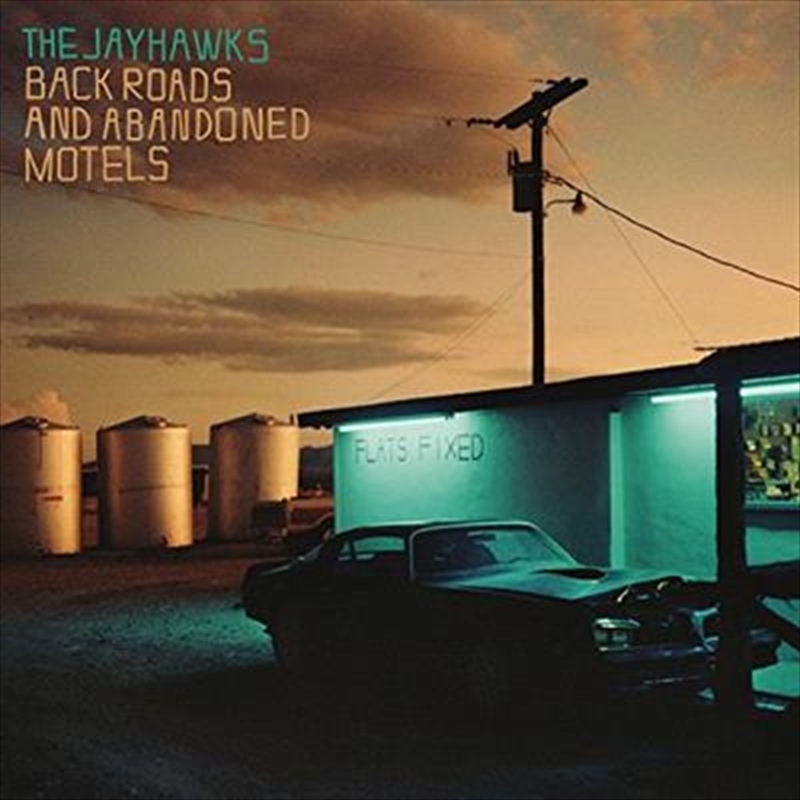 Back Roads and Abandoned Motels is The Jayhawks' tenth studio album and first for Legacy Recordings. Produced by Gary Louris, John Jackson and Ed Ackerson at Flowers Studio, Minneapolis, Back Roads and Abandoned Motels sets nine songs co-written by Louris with other artists alongside two of Gary's latest compositions. Back Roads and Abandoned Motels finds the current incarnation of The Jayhawks--Louris (vocals, acoustic and electric guitars), Marc Perlman (bass), Tim O'Reagan (vocals, drums, percussion), Karen Grotberg (vocals, piano, keyboards), John Jackson (mandolin, violin, acoustic guitar)--expanding the group's repertoire with 11 new performances of Gary's songs. Karen and Tim each sing lead on two songs on the album. Tim performs "Gonna Be a Darkness" and "Long Time Ago" while Karen takes lead vocals (for the first time on a Jayhawks album) on the opener, "Come Cryin' to Me (featuring a soulful horn section arranged by David Ralicke) and on "El Dorado. Destined to become a classic in The Jayhawks' catalog, the Back Roads and Abandoned Motels setlist of songs co-written by Louris includes "Come Cryin' to Me" (originally released on Natalie Maines' Mother in 2013); "Everybody Knows" and "Bitter End" (released on Dixie Chicks' Taking The Long Way in 2006); "Gonna Be a Darkness" (written and performed by Louris and Jakob Dylan for True Blood: Music From The HBO Original Series - Volume 3 in 2011); "Need You Tonight" (originally released on Scott Thomas' Matson Tweed in 2015); "El Dorado" (originally released on Carrie Rodriguez' She Ain't Me in 2008); "Bird Never Flies" (originally released on Ari Hest's The Break-In in 2007); "Backwards Women" (written with Wild Feathers but never recorded) and "Long Time Ago" (written with Emerson Hart of Tonic but never recorded).